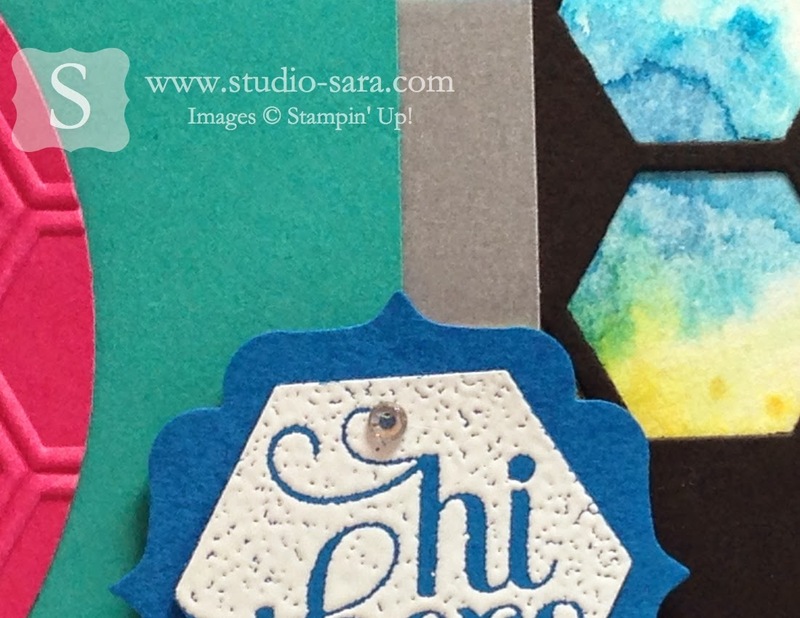 The first project was entered in the Mojo Monday Challenge, MOJO352. Spritzing the watercolor paper with clean water first makes it ready to receive the colors from the ink pads. These are beautiful! 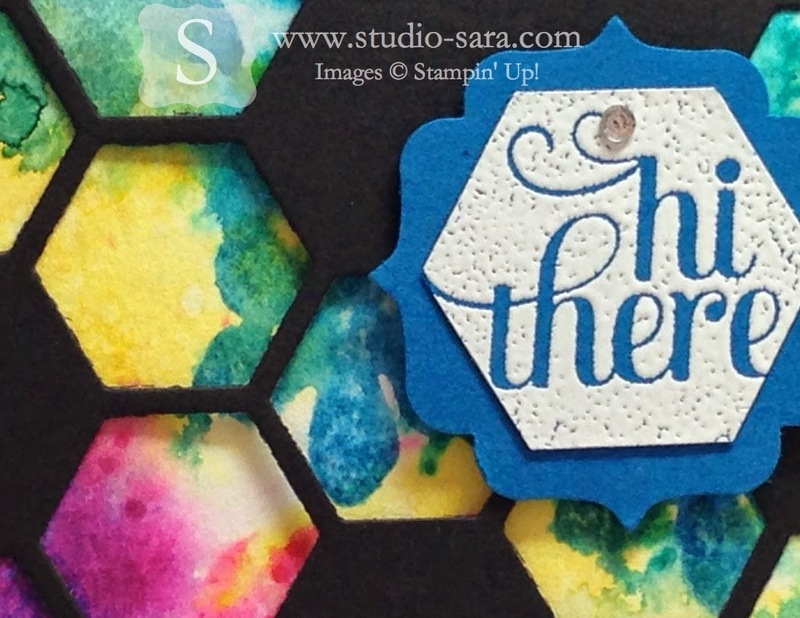 Love the gorgeous colors behind the hexagons. 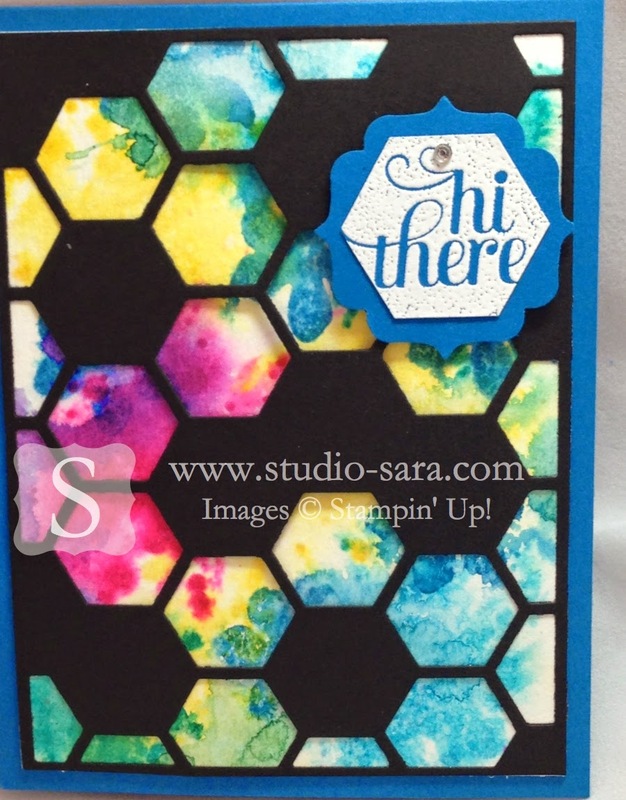 Both of these are awesome- love the hexagons! Thanks so much for joining us on the Runway!